You no longer have to sacrifice storage space to upgrade your PC to a super-fast SSD! As you probably know by now, replacing the hard drive in your laptop with an SSD is an easy way to put your machine into overdrive. Simply put, Solid State Drives are virtual speed demons when compared to even the fastest spinning hard drives. Making the switch from a slow spinning hard drive to a speedy SSD meant giving up a ton of storage space. Well, guess what? That problem has virtually disappeared! Your Facebook account is a huge target for hackers for a lot of reasons such as targeting you for identity theft, harassing your Facebook friends in your name, and many others. There are several things you can do to lock down your account such as choosing a strong, yet easy to remember password and choosing a secret question that even those who know you best won’t be able to guess, but if you really want to secure your Facebook account from hackers you should enable two-factor authentication. Craigslist is the most popular classified ads website in the world, and if you’re really careful you can find some real bargains on used computers on there. But if you aren’t careful it’s very easy to get scammed or taken advantage of as well. First and foremost, you need to protect yourself by always keeping your personal safety in mind when dealing with strangers over the Internet. I recommend that you never let strangers come to your home under any circumstances, and when you visit a seller’s home ALWAYS take a friend with you. Also, think twice before giving a stranger your phone number. And before you leave, tell a trusted friend EXACTLY where you’re going, including the physical address And then let the seller know that you have shared that information with a friend. That will make your meeting a LOT safer. Windows 10 has a nifty AutoCorrect feature that really comes in handy for people who happen to be poor spellers and/or poor typists (like me for instance). While lots of folks love AutoCorrect and rely on it to help keep their documents free of errors, there are plenty of other folks who find it extremely irritating. 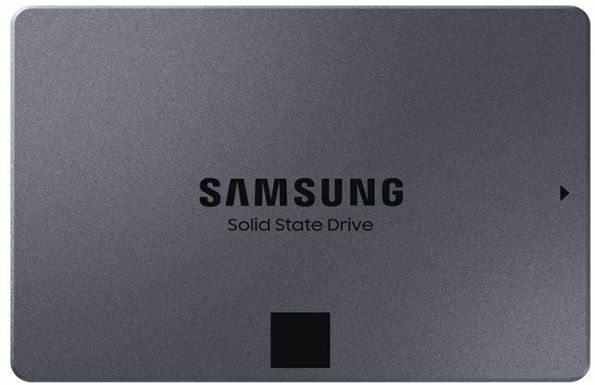 I have written several posts that explain how to clone a hard drive or SSD, and every time I think I’ve found the simplest method possible I eventually discover an even easier way to do it. Well, I’ve found yet another way, and I honestly don’t think cloning a drive could be any simpler than this. 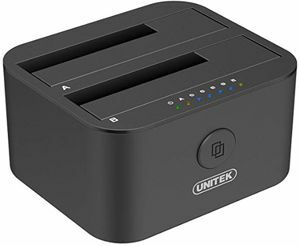 The Unitek USB 3.0 to Mini Dual Bay Hard Drive Docking Station literally makes the process of cloning a hard drive or SSD onto a target drive as simple as pushing a button!